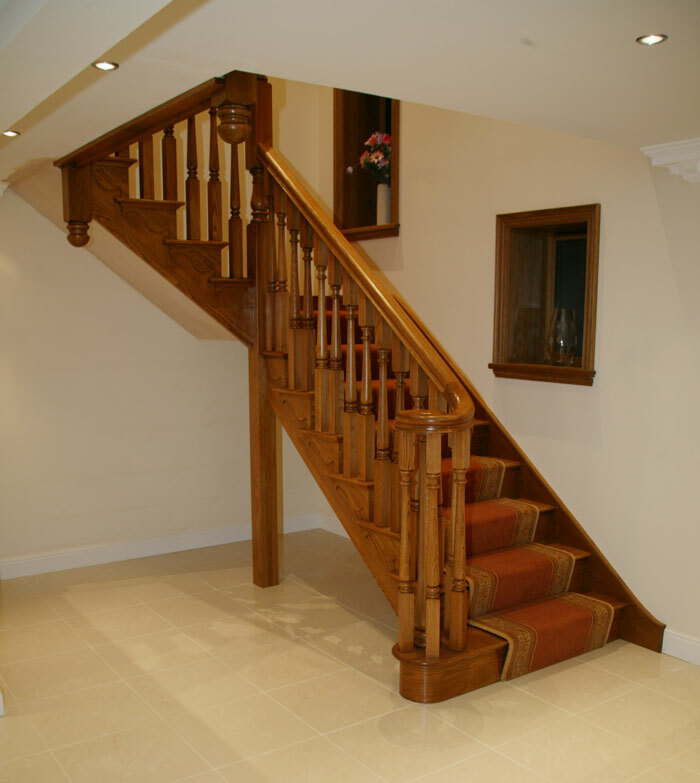 The Brooklyn staircase is a Bespoke Oak Cut String staircase, the layout is a quarter landing configuration, the Spindles are 55mm Oak Turned spindles, now known a Brooklyn Spindles, the Newel posts are 115mm Oak Turned newels and the Handrail is Stairplan's SHR Profile widened to take 55mm spindles (SHR55) one of the main features of this staircase is the Ascending Volute detail at the entry. 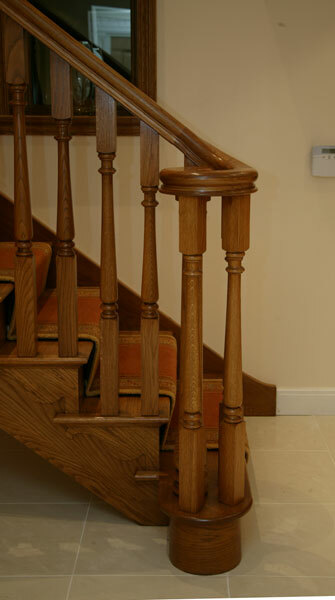 Manufactured from Super Prime Grade American White Oak, this superior grade allows us to cut out most of the defects you would find in the typical FAS grade of american white oak, when obtaining comparative quotations on Oak staircases it is important to check on the grade of Oak that has been quoted for and if any of the parts are engineered or veneered. 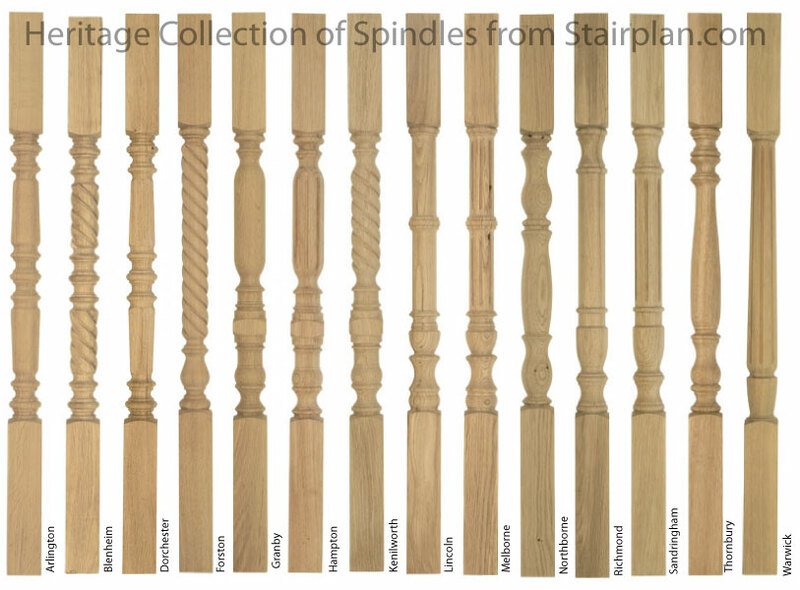 The Acending volute detail brings the volute detail lower than standard volutes the makes the volute stronger than standard volutes. 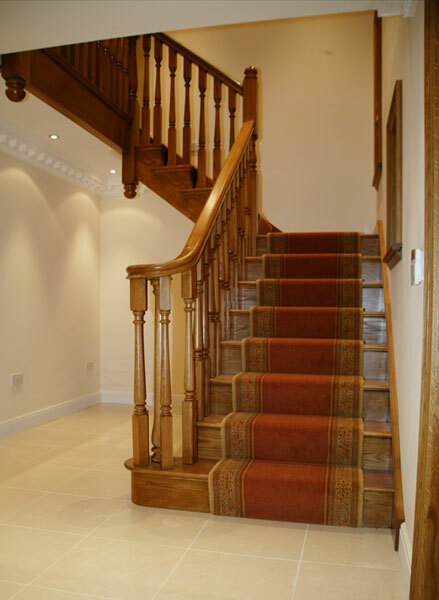 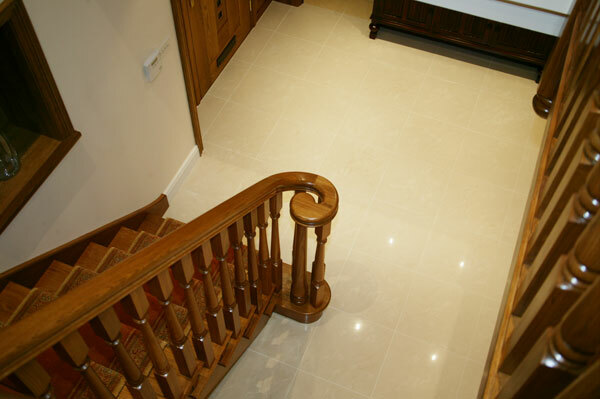 The spindles have been turned Bespoke for this staircase, you can see there are 2 different lengths of turnings, the turnings sit level on each step at the bottom and at the top they follow the line of the handrail.